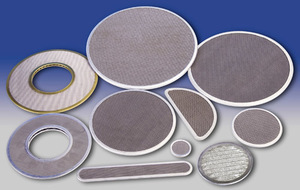 Raj Filters is the pioneer in the generation of Extruder Screens single and multilayer screens. We make and supply an extensive variety of screens with global benchmarks. Our single and multilayer screens include different determinations to suit individual mechanical and business prerequisites. Wire meshes are consistently cut according to wanted shape and size and they are collected legitimately and spot welded definitely to acquire ideal quality and arrangement.